Big Frank is a traditional electric and acoustic blues musician known for his powerful vocals and bottleneck slide style. He has been a fixture in the NYC Tri-State blues scene for decades. While listening to Rock and Roll as a teenager, Frank's ear was attracted to the blues elements evident in many of those tunes. His love of traditional blues and curiosity drove him to become a subject matter expert about its history. His playing style reflects his affinity for these traditional roots. 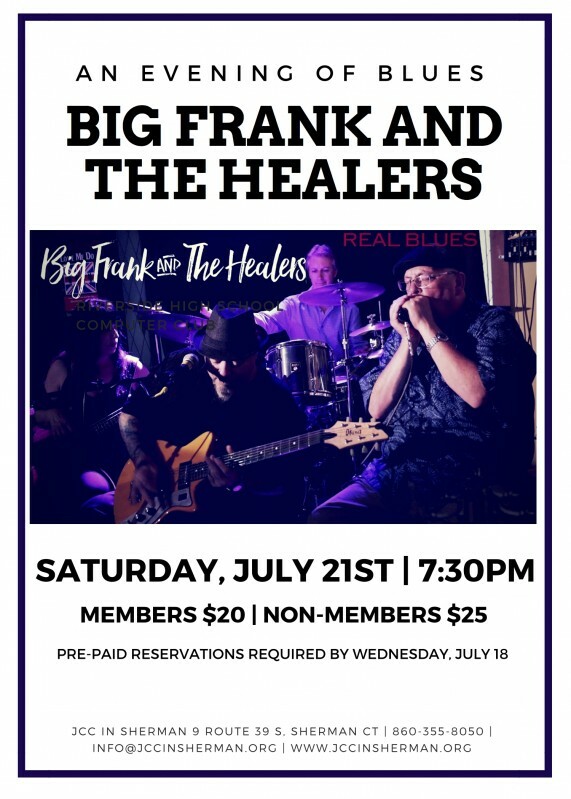 Over the years, Big Frank has opened for such acts as Little Charlie and the Nightcats, Bo Diddley Jr. and Black Joe Lewis and the Honeybears, to name a few. His playing has been featured on KFFA's renowned 'King Biscuit Flour Hour' where legendary disc jockey Sonny Payne referred to Frank's style as 'The closest thing I've heard to Hound Dog Taylor.' He has performed with blues legends Hubert Sumlin and Moose Walker and has been inducted into the New York and the New Jersey Blues Halls of Fame. The Healers consist of the long serving crack rhythm section Margey Peters on Bass and Bill Rankin on Drums. Rounding out the quartet is Mike Smith on amplified and acoustic harp. Well known for their high energy live show that feature some of the most authentic oaf the American Blues experience.